I have had a very busy couple of weeks. My husband and I took a much-needed three-day escape to Savannah GA where we were able to glimpse into our lives away from our kids. While it goes without saying we love and adore our children, they eat up every free minute we have. As they should, that’s kind of the point. And 99 out of 100 times we really don’t mind having to drive here, watch this game, homework, meals, weekends, calls about questionable behavior, vomiting, colds, laundry, unruly hair, and the 1,228,004 things that comes along with having children. But we are also firm believers that it is essential to nourish your marriage. We have been down the aisle before and are trying out best to learn from our past mistakes and be kind to our marriage. And so we took our first three-day weekend alone. The only one we have ever taken in almost two years. I think we were due. On top of that, and normal life, I did manage to begin and finish two books. Of which I highly recommend. 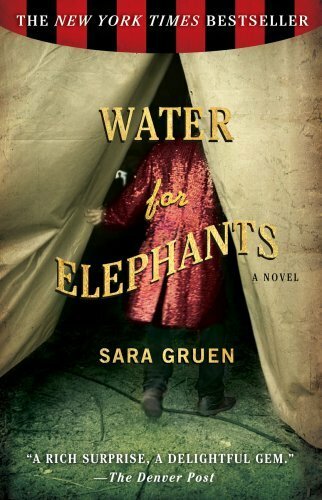 *Note: When I began reading “Water for Elephants” by Sara Gruen I had no clue there was going to be a movie. And much to my chagrin that it was going to star Robert Pattinson. Who I am sure is a doll, but frankly his over exposure made me less than pleased with the casting. I have a firm rule, I rarely break; if I read it I won’t watch it and vice versa. So, that being said, for my work book club we were assigned “Water for Elephants” and I truly enjoyed it. And I recommend it to someone looking for a nice summer read. I am extra pleased to have read it because honestly I would have never chosen it on my own. So it was a pleasant surprise how much I liked something that seemed outside of my tight little snobby reading genre. The next book I read was “Freedom” by Jonathan Franzen. Note: I listen to books. Via Audible.com. I also highly recommend this especially for fellow commuters. If it weren’t for audible I wouldn’t ever get to read/listen/experience books at all. 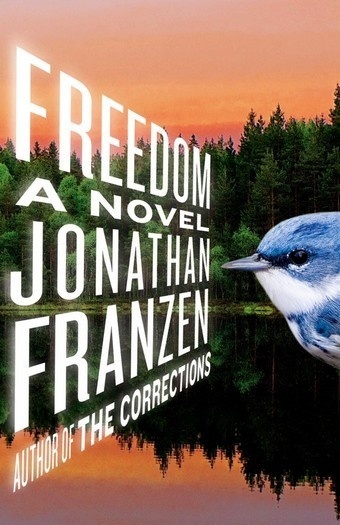 I had previously read, “The Corrections” by Franzen and while at first I felt I had to look up every other word out of the readers mouth, I ended up becoming very invested in the characters and at the end of the day truly enjoyed the book. It was a very intellectual but honest slice of life story. Same thing for “Freedom.” I am in awe of how he is able to take every day nuances and bring them out without making the story about them. He uses detailed descriptions to develop characters in a way that blew me away. I hope to see more from Franzen. So, this concludes my, “Where have you been?” and what I recommend for Summer Reading post. I am hoping to be able to give you all a little piece of something I have written soon. Now that things have slowed down somewhat I am chomping at the bit to get back to writing. Feel free to recommend some good books here as well! And it should also be noted I misspelled, Misspelled. What in the hell, I have no business writing. Jeez. This entry was posted in Actual Blogs!, Current Events, Short Fiction, Woman on Writing, writing and tagged audible.com, audiobooks, freedom, Jonathan Franzen, mini-vaca, reading, Sara Gruen, savannah ga, vacation, Water for Elephants, writing. Bookmark the permalink. I can’t wait to see your writing!!! Aw, thanks! I am so excited and ready to write ideas are flowing in and out of my brain at high speeds. I try and walk through each day trying to describe things to myself as I would write them. How weird and obsessed is that? I just love it! I do like the classics. But, I have to admit I am deep down in my core… A Stephen King fan. It may be cliche and “not considered literature” to some, but he just speaks to me. What specifically are you reading now?